13.5 Megapixels for stunning prints as large as 20 x 30 inches. Sharp resolution captures the finest details, crop creatively and produce incredible enlargements. New EXPEED Image Processing ensures high-quality pictures with stunning color and sharpness. Nikon's comprehensive digital imaging processing concept incorporates the know-how and technologies accumulated throughout our long history of photographic and digital imaging development. 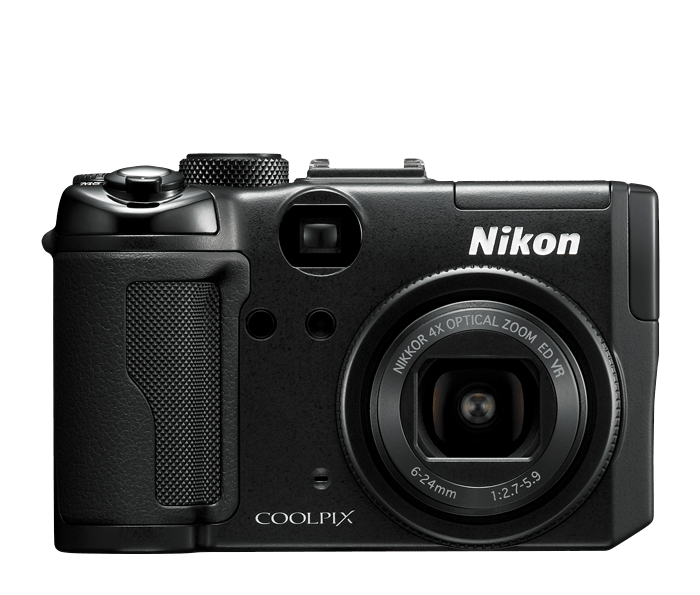 EXPEED is custom-tuned for COOLPIX. Applied optimized technologies render natural-looking pictures of incredible quality and quick response so you won’t miss that special moment. Incredible, Bright 2.7-inch High Resolution LCD and Optical Viewfinder makes it easy to compose and share your pictures with friends and family. The incorporation of the optical viewfinder enables you to see through the lens in any type of lighting condition. Program, Aperture, Shutter, and Manual Exposure Modes allow you to have the ultimate control over your pictures. The D-SLR-type mode dial on the top of the camera provides quick access for greater personal and creative control. Now you can adjust the camera's settings for any type of lighting conditions and get as creative as you want. New COOLPIX RAW mode (.NRW) with Windows Imaging Component allows you to take and edit pictures in RAW mode with Windows Vista. my Picturetown with Wired LAN enables viewing and uploading of your pictures anytime, anywhere. Simply connect the camera to your Ethernet cable for your wired LAN and the camera will automatically upload your pictures to Nikon’s my Picturetown photo storage and sharing service. Store up to 2GB for free. New GPS capability will automatically geo-tag your photos with the exact location of where you shot that picture. Upload pictures directly to my Picturetown, then conduct searches based on the location of where your pictures were taken. You can also view them all at once. A great way to have instant organization of your photos! Nikon Image Innovations include: In-Camera Red-Eye Fix™, which will automatically look for and fixes most instances of red-eye. You may never see red-eyes again! Face Priority AF is Nikon’s face-finding technology that quickly finds and focuses on up to 12 faces in a group portrait. D-Lighting will rescue those photos that are too dark for printing by enhancing the underexposed areas of the picture while not touching the properly exposed areas. Available Wide-Angle converter and Nikon Speedlights let you expand the capabilities of the camera, enhancing your creativity. High Quality TV Movies with Sound are now just a press of a button away with your COOLPIX. Record TV-quality movies with sound; duration is limited only by the available space on your SD/SDHC card. Connect your camera to your TV and you have instant home-movies!